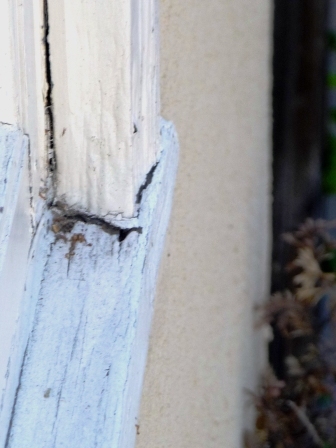 As a real estate professional, I know that what happens when paint cracks, water infiltrates, and dry rot starts. It’s not pretty and it grows… because it’s a FUNGUS! Seriously people, don’t be in denial like your friendly neighborhood real estate agent down the street. This problem gets worse, and the sooner you catch, patch, and paint spots like this, the longer your house will be a solid one. Next week, on this same page, I’ll put together my recommended winter tune up list for the entire home, and contact information for my go-to people on all those items.